Dark Summer is the second feature to be directed by Paul Solet, his directorial debut was 2009's Grace and he received high praise for his first outing into the horror genre. Yet Solet might be more well know for his role as the Boston infomercial guy in Adam Green's Jack Chop Halloween short. Unlike Grace, Solet only directed Dark Summer and the writing of the film fell on Mike Le. The plot of the story is, in a nutshell, a teen is put on house arrest at the end of the school year for an unknown "cyber crime". While on house arrest he is to stay offline and have no social media interaction at all. Of course the kid quickly figures out a way to get online and then a horrific event sets in motion a supernatural summer that he nor his friends saw coming. The film is a newish take on the paranormal sub-genre in horror and I know you're thinking Disturbia meets Paranormal Activity right now, but the film actually references the Labeouf film. Which, in a small way, is one of the saving graces of the film. Knowing the premise has been done before and quickly acknowledging it so the audience can movie on is always a wise choice. As for Paranormal Activity, the only thing these to share is that they are both "ghost" stories. The casting of the film is pretty solid with Peter Stormare (22 Jump Street) as the parole office. His presence on screen really gives the film some weight and validates the rest of the cast as a "real" film. The main male lead does a decent job on screen, but Stella Maeve (Manson Girls) steals the show the moment she hits the screen. Her performance as the best friend Abby comes off very naturally and out shines anyone she shares a scene with. The film does have it's problems though and it's biggest is the pacing. A lot of the scenes where drawn out in an attempt to build suspense, which I'm all for when done right, but end up dragging on with no real payoff. The second problem is the revelation of why he was put on house arrest and why this is all happening. Only after the movie ended was I able to replay the events in my mind and say "okay, I get it". Just a bit more exposition mixed with a few more scares would help the film reach the average viewing audience. Now don't worry, all is not lost, because the last 20 minutes of the film really kick into high gear and deliver a story that is very unique and fresh. Then top it all off with one of the best amputation scenes I have seen since Saw and you have yourself a decent movie. It's tough to call this one. The first half falls victim to poor pacing with little scare, while the second half delivers a film that is entertaining and chocked full of horror goodness. It is a decent outing by Solet, but I can't help but feel that had he had more of a budget then a lot of the problems wouldn't exist in the film. I hope that his next outing they give him both a proper budget and script (hell, let him write it). Good filmmakers like this are few and far between these days and I hate for us to lose one who shows as much promise as Solet. With that I'm going to say that the first half gets a 5/10, while the second half gets a 7.5/10. 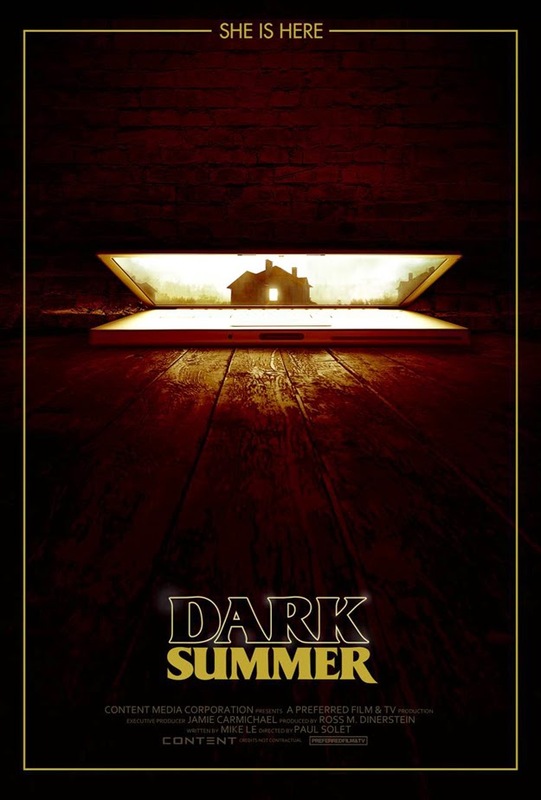 Dark Summer is worth a rental at the least, but if your a diehard horror fan then you might ponder adding this to your Blu-ray collection.